We all can attest to the frustration of trying to get a drink at a crowded bar. Now, beacon technology allows the drink to come to you as you lounge around talking about rich people things on the beach in Cannes, France. An app created specifically for the renowned Cannes Lions festival, Rosé Time allows VIP attendees to order free glasses of rosé wine to be delivered to their precise location. 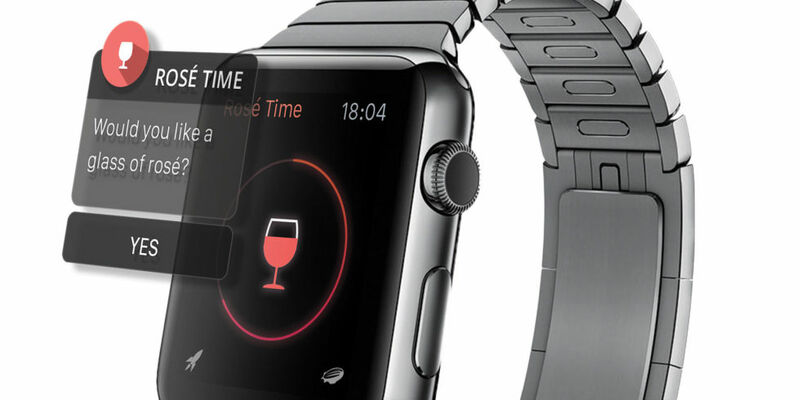 Here’s how it works: as you walk into the VIP section of Cannes Lions Beach, a simple beacon-triggered notification will be sent to your Apple Watch that says, “Rosé Time?”. 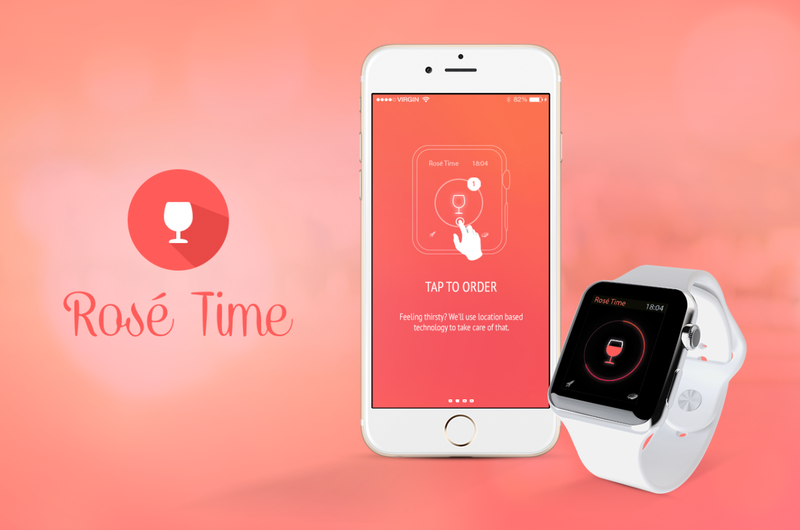 All you have to do is download the Rosé Time app first, click yes, and a free glass of the pink drink will be sent to your hands. The app, created by Urban Airship and Intergalactic, will only be active Monday through Thursday, June 22-25, from noon to 6 p.m.
Beacon technology is ingenious. It’s easy and it is the perfect way to offer contextual targeting to audiences where they will pay attention the most – on their smart devices. At a festival with the biggest of the big advertising minds, this is a great way to show the possibility of this sort of technology and create an experience that emphasizes the convenience and ease a simple app can bring. Although this app shows a very limited scope of what geolocation devices can do, it is certainly an interesting idea that can be built upon to create even better, even more efficient experiences. Besides, sometimes you just need a drink now. KFC might be Finger Lickin’ Good but those fingers after grabbing a drumstick and some fries are good for no screen. Good thing KFC has come up with a solution for protecting smartphone screens from the secret ingredients in the famous fried chicken. The KFC Type Tray allows you to eat all the fried chicken your heart desires while answering emails, notifications, and updating your social media about how cool the new gadget is. This slick reusable and rechargeable keyboard was launched in Germany and connects to a phone via Bluetooth. Although fully branded with KFC on every crevice, these keyboards were so popular that each one handed out during the promotion was swiped home. Although inarguably very cool, do we really need another reason to not talk to each other over lunch and only look at our screens? It’s a great idea in concept to be given one of these with an order of fried chicken, bringing a new level of tech into the fast paced world of fast food, but it also brings up some potential questions. Like, how do you switch mobile apps without touching the phone? Why can’t you just not look at your phone for half an hour? Did napkins disappear as new technology appears – can’t you just wipe your hands and then touch your phone? Things to consider.